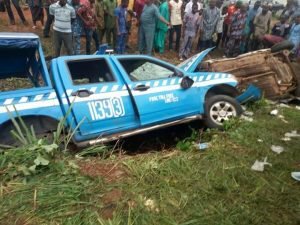 We earlier reported that a Federal Road Safety Corps (FRSC) Hilux van on Friday crashed while pursuing a presumed road traffic offender in Ibadan, the Oyo State capital but the full of the incident was not given as investigation was still ongoing. 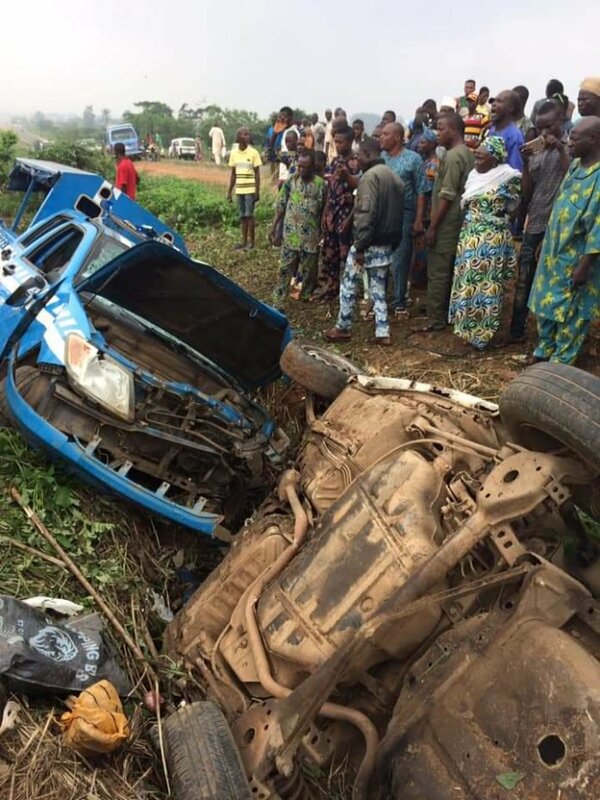 Speaking with NAN correspondent on Saturday in Ibadan, Mr Seun Onijala, Oyo State FRSC Corps Education Officer, said the accident involved six persons and three persons were injured while the remaining three persons were unhurt. “ The officials asked the Micra car to stop and the driver refused to do so and decided to turn the wheel of the car to the officials at the right and left side of the road with the aim of knocking them down. 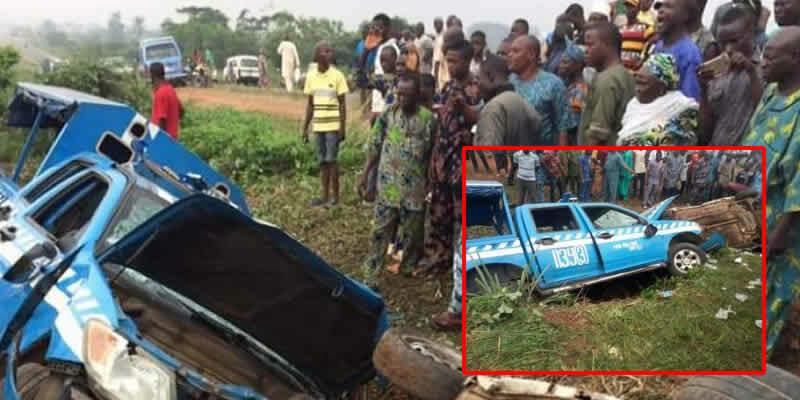 “ In the process of the chase, a trailer was coming on the one way of the road and the option for the Micra car and the FRSC Van was either to both have an head-on–collision with the trailer or fell into the wide hole by the road side,’’ Onijala said. He said that both the Micra car and the patrol team van plunged into the wide hole by the road side and three persons were injured and the remaining three were unhurt but nobody died in the accident. See photos from the accident scene below. My sister you are very correct……………….. They just care about the life of the officers…….. 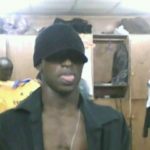 It is only God can protect us on this earth surface from this nonsensical situation which is rapidly occur in our nation..
That is Nigeria for us………………. They care only about the officers and what about the passersby? Everyone will sharing false news up and down. Bad thing will not come my way in Jesus name. Thank God that no live was lost. But it will be better for our law enforcement agencies to adhere to the instructions of their superior, this will save a lot of disaster.